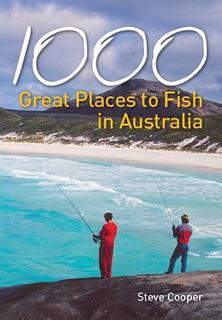 1000 Great Places to Fish in Australia by Steve Cooper. In this, his latest book, "1000 Great Places to Fish in Australia", fishing writer Steve Cooper lists his top 1000 fishing spots around Australia, helpfully dividing the hot fishing spots State by State. In this 400 page paperback, Scoop, as he is known in the industry, provides useful fishing information on each of his favourite fishing spots and highlighting fish species in the area, recommended methods for each region and many interesting fishing anecdotes from Cooper’s own fishing adventures. A clean and easy-to-follow structure makes this fishing book a useful addition to every Aussie fishermen’s collection of fishing guides, and is a big help for those of us who like trying different fishing spots but need some guidance about where to start. Steve Cooper himself is an avid fisherman and journalist, leaving newspapers a few years ago to pursue his own passion for fishing. 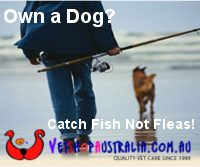 Cooper now spends five months of the year on the water in Australia and overseas and has regular national fishing columns and a weekly radio show in Melbourne. "1000 Great Places to Fish in Australia" joins Cooper's other books including Snapper Secrets, Fishing Techniques, and The Reel Issues as a great fishing resource for Australian anglers. You can buy "1000 Great Places to Fish in Australia" online at Explore Australia for $34.95 or find it at selected bookstores.